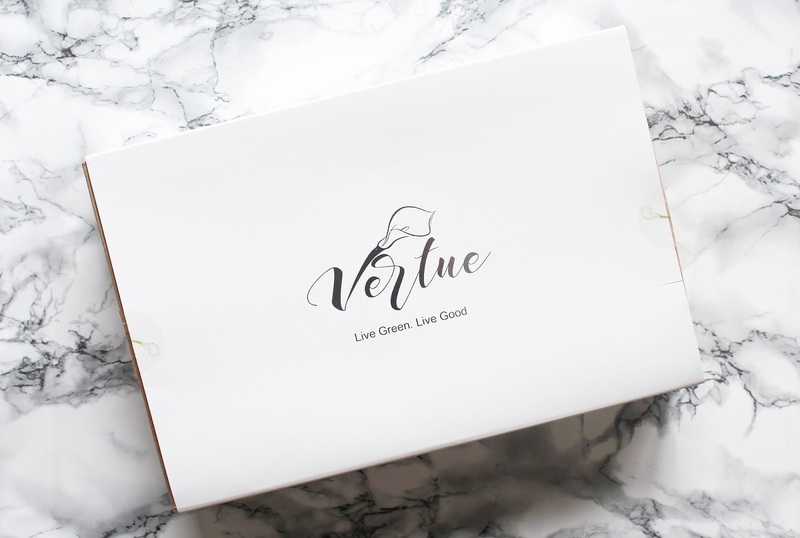 Vertue Box is a fairly new bi-monthly green and cruelty-free health and beauty subscription box with an online shop based in the UK. 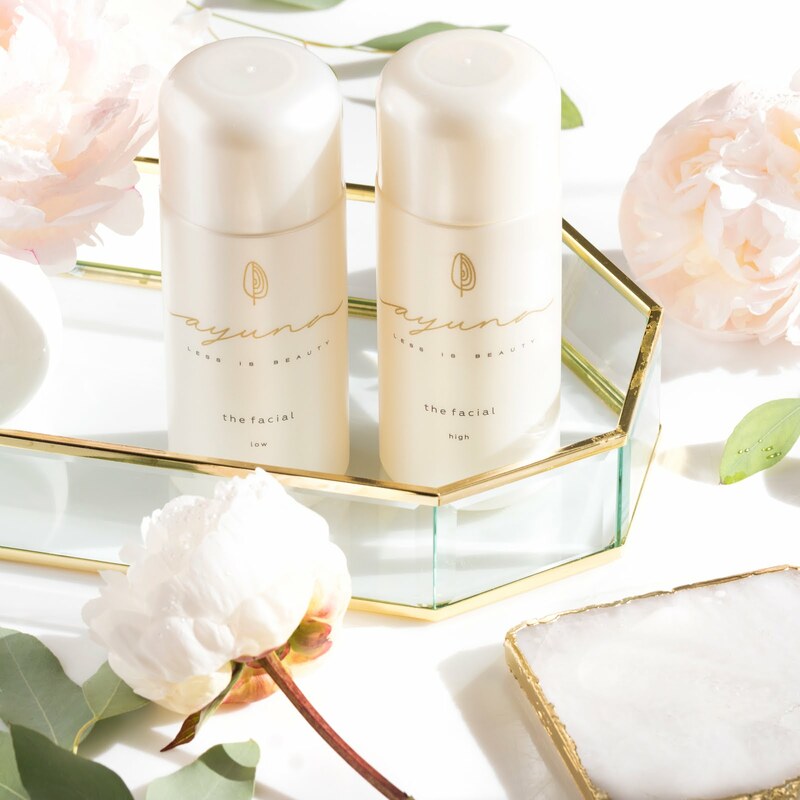 Vertue was founded by a former makeup artist, Laila Sanderson, who after being diagnosed with an auto-immune disorder, started to lead a healthier and greener lifestyle. At Vertue they aim to make it easy for us to discover and try award-winning, up-and-coming and well-known brands that are good for the health and the environment. 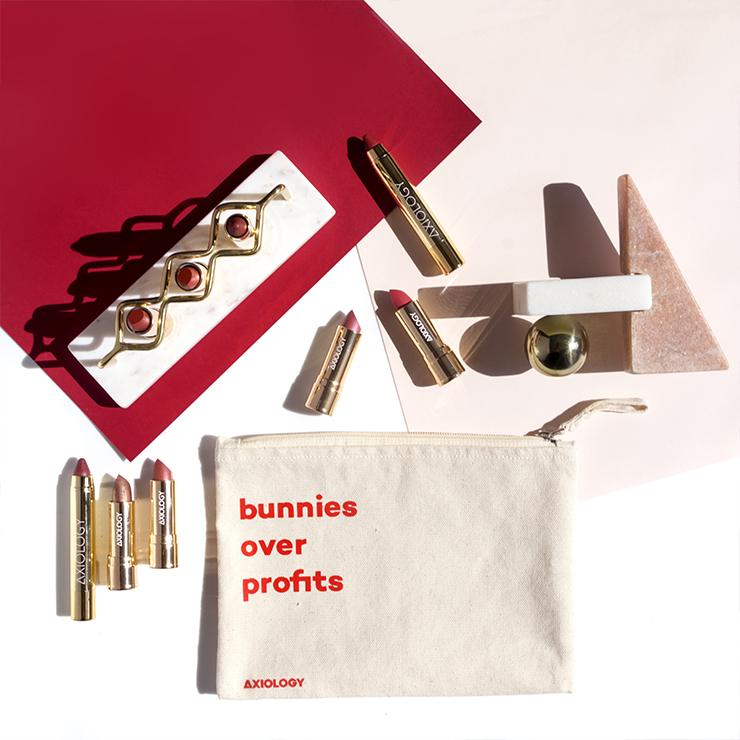 They give 10% of annual profits to environmental, health and food charities and use eco-friendly packaging and suppliers. 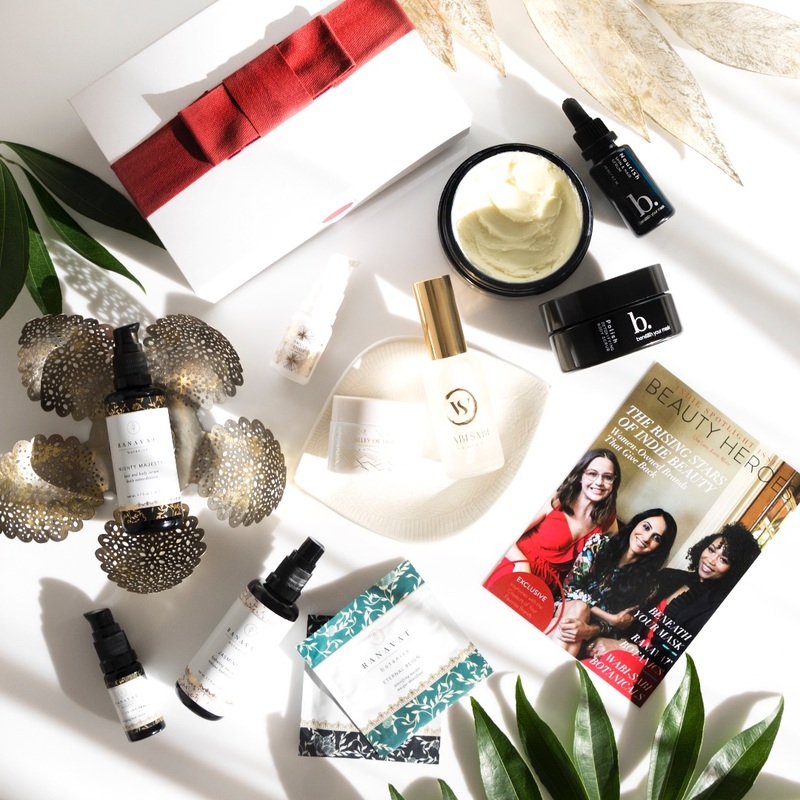 As supporters of the Real Beauty Manifesto, they believe in purity, compassion, honesty, community, transparency and sustainability. Love all that! 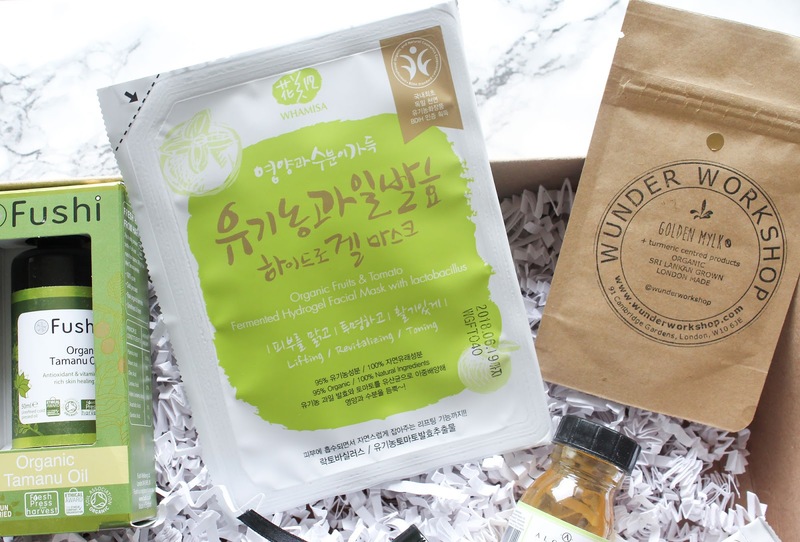 Today I'll be reviewing one of their trial boxes - the Wanderlust: Asia*. Unfortunately it is no longer available but I think that the products will eventually be available in their shop. 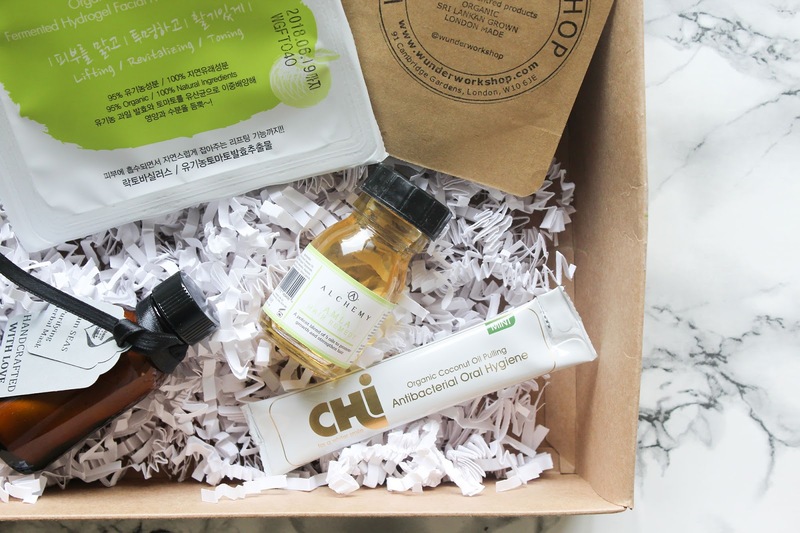 Their trial boxes cost £18 and their bi-monthly subscriptions are £30 for an Original Box (+ shipping cost if you live outside the UK). I like that they have this option of trial boxes. Each box also has a theme and this Asia theme was like it was made for me! 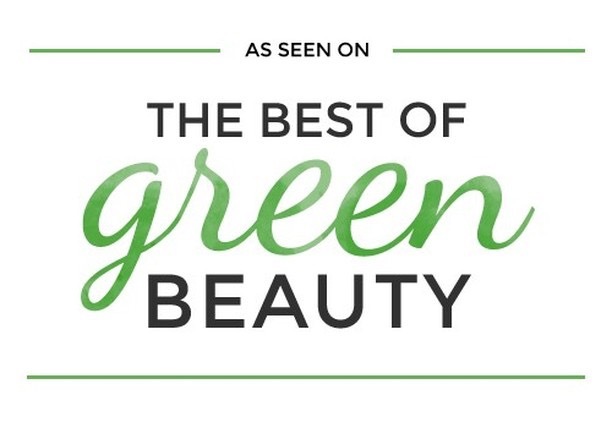 I loved pretty much every single product and I have to say I'm very impressed with the selection. 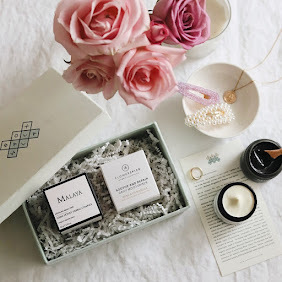 There is a whole lot more info on Vertue boxes on their FAQ page, but just to mention one more thing - all products featured are suitable for vegetarians and most are suitable for vegans, and are free from most of the common ingredients that are best to avoid in the products (Parabens, Synthetic Colours and Fragrances, Phthalates, Triclosan, SLS/SLES, Formaldehyde, Talc, and many more). 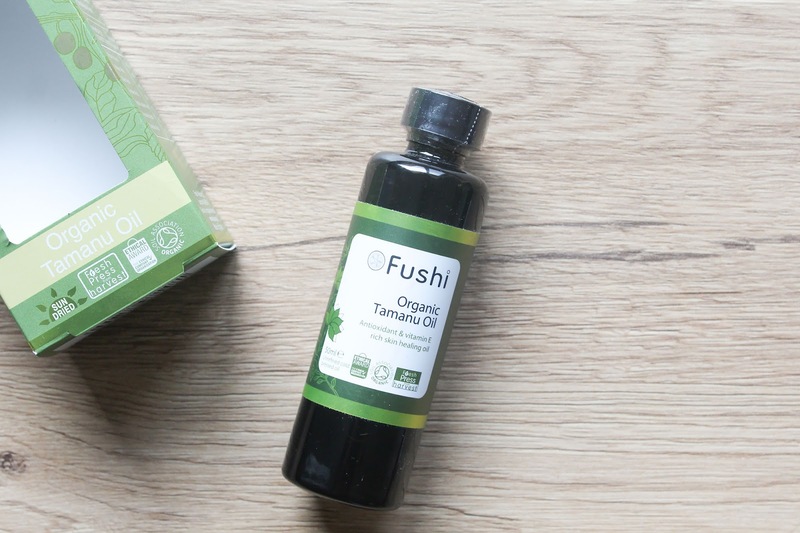 Fushi Organic Tamanu Oil is one of those oils that is suitable for all skin types, even oily and acne prone skin. Especially for oily skin. The oil is anti-bacterial (it kills bacteria on the skin that cause acne), it has anti-inflammatory benefits and offers antioxidants. 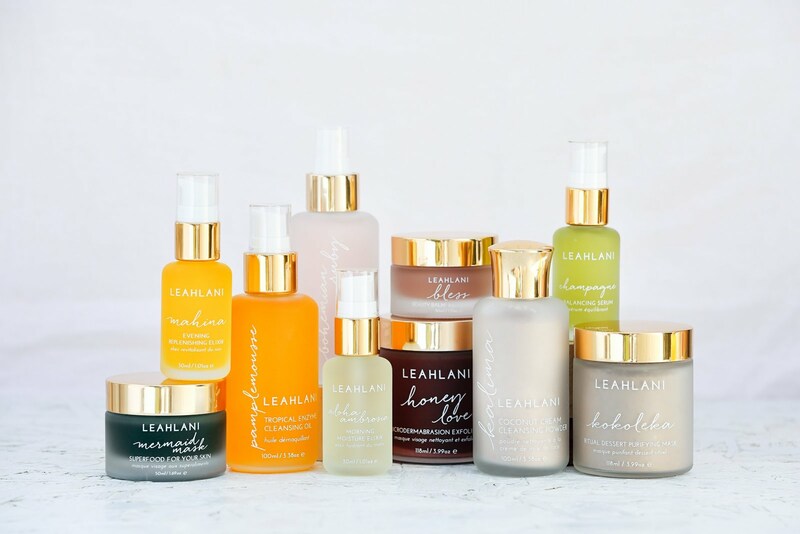 It is said that Tamanu oil has been using in South East Asia and the Pacific Islands for centuries as a cure-all for many skin problems. Not only that it can be beneficial to all skin types, especially acne prone, it also helps to rejuvenate the skin suffering from sun burns, scarring, stretch marks and pigmentation. 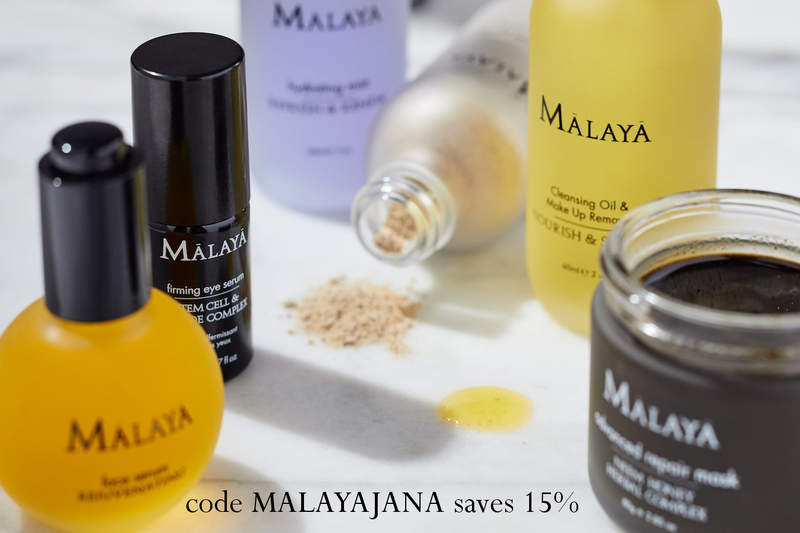 Tamanu oil is known for its strong healing properties so if you do suffer from skin problems I've mentioned then you should definitely check it out. I haven't tried this particular Tamanu oil yet, but I have to say that I really love Fushi's philosophy. It is stated on the packaging "we believe in being honest to our costumers, kind to our planet, and responsible for our actions". Yes! 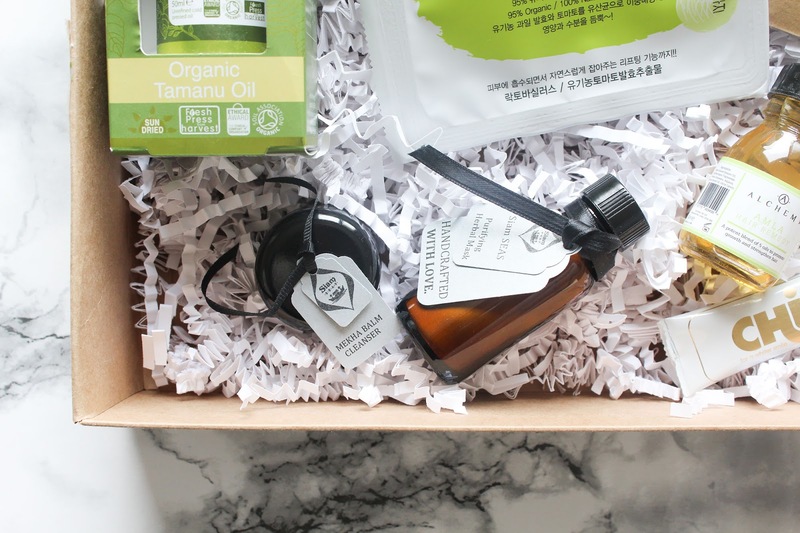 Also this Tamanu Oil really do sound very special - it's 100% pure organic, cold pressed, unrefined, certified organic by Soil Association, not tested on animals, free from artificial chemicals. Only the good stuff. It's ethically sourced directly from Vietnam and is fresh from the harvest, meaning the sun dried Tamanu nut kernels were pressed to produce this tropical oil. One more thing I find fascinating and I appreciate the info is that the 50ml of oil was made from approx. 380g of sun dried Tamanu kernels. I have to say that I'm really impressed. Whamisa Organic Fruits & Tomato Fermented Hydrogel Facial Mask with Lactobacillius is a sheet mask, my first sheet mask I've tried! This hydrogel mask is made with 100% natural and 95% organic ingredients, including some gorgeous and interesting ingredients like Apple, Kiwi, Banana, Tomato, Raspberry and Honey. Some ingredients are fermented and I do love me some good fermented foods (if you've been following my insta stories then you may know I've been obsessing over homemade kombucha). It is said that this mask is lifting, revitalizing and toning, a powerful hydrating blend for instantly more nurtured, hydrated and clearer skin. I love that the mask comes in two parts - very handy, especially since it was my first time applying a sheet mask. I didn't know exactly what is the "right" way of application, in terms of other products. Do you use anything under or not, what's the deal here? After asking that on my insta, I got a few different answers, but the one I really liked was that you use all your skincare except for cream (so toner, serum and treatment if you use any). In this way you allow the sheet to "push" ingredients into the skin. But since I already had it on my face I used it like Whamisa suggests - you wash your face, apply their toner and then apply the mask. So I used some toner and applied the bottom half first and then the top. I actually really liked the feeling on my skin, it was cooling and toning. My skin thoroughly sucked in all the goodness and when I removed the mask there wasn't much left. I massaged the remaining serum from the packaging into my skin and some Siam Seas Elements Balm on top so seal in all the moisture. I would like to try their other sheet masks as well, and some other Whamisa products, but I'm not sure if they are 100% cruelty free so for the time being I will leave it here. I mean I think they are because they wouldn't be featured in this box if they weren't. Alchemy Amla Hair Remedy is a lovely hair oil with a refreshing and delightful citrus scent. It is a "potent blend of 5 oils to promote growth and strengthen hair". I've only used it twice so I can't tell you if it really promotes growth but oil like this should definitely be used in the hair treatment that I described in this post. It contains Amla infused Sesame Oil, fractionated Coconut Oil, Avocado and Argan Oil, and Lemon Essential Oil. I wrote a few words about Amla when I talked about the wonders of Triphala. Amla is a plant or better, a fruit that has been used in traditional Indian medicine for ages. Amla actually has wonderful anti-aging benefits and it has almost twice the antioxidant power of acai berry. Check out the antioxidant value of plants here. Dragon's Blood is the number one but Triphala which also contains Alma is the third on the scale. Not only that Amla is full of antioxidants, it's supposedly also wonderful for your hair (promotes hair growth, reduces hair greying, helps with dandruff and scalp conditions). I love applying this oil as a hair treatment and leave it on overnight. It easily washes off with shampoo since it's quite a lightweight oil. It makes my hair softer and yeah, it is a lovely hair oil. Chi Organic Coconut Oil Pulling Antibacterial Oral Hygiene in Mint flavour is exactly what it sounds and looks. A sachet of Organic Coconut Oil & Organic Peppermint Oil used for oil pulling. 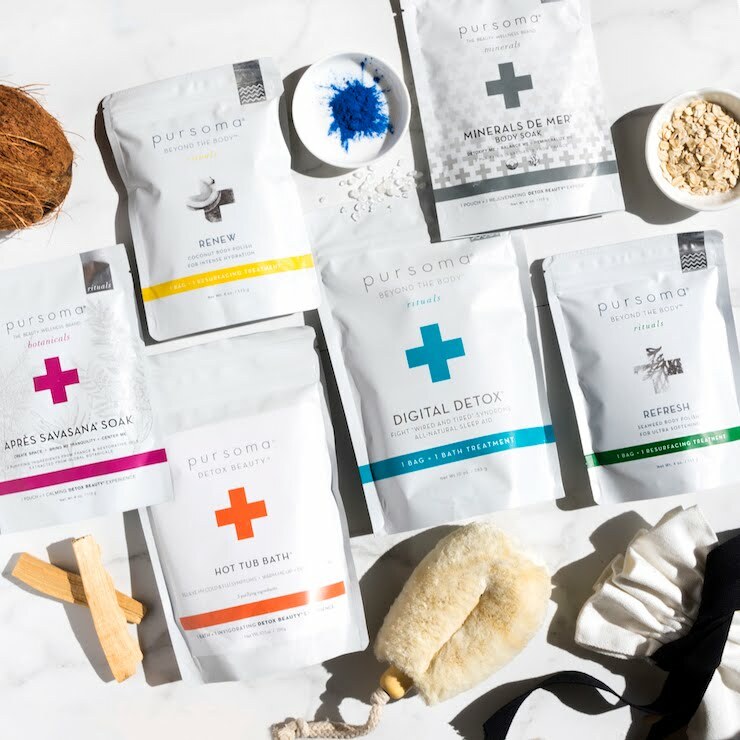 I've been a huge fan of oil pulling for a few years but lately I haven't been doing it regularly, if at all, so this really came at a perfect time. A very good reminder. I wrote a whole blog post dedicated to oil pulling but just too quickly sum it up. Oil pulling is an Ayurvedic dental health technique for which you swish an oil (usually coconut or sesame oil) in your mouth for around 20 minutes. Regular practice of oil pulling has numerous benefits including health teeth and gums, it whitens your teeth and detoxifies the whole body. I've been doing it with pure coconut oil but changing it up with a little mint flavoured coconut oil has been very nice. I love the fresh and clean feeling I get after using this oil. I understand that the sachets are very easy to use but because of the environmental problems I would prefer more sustainable packaging like a glass jar. But the product itself is great. 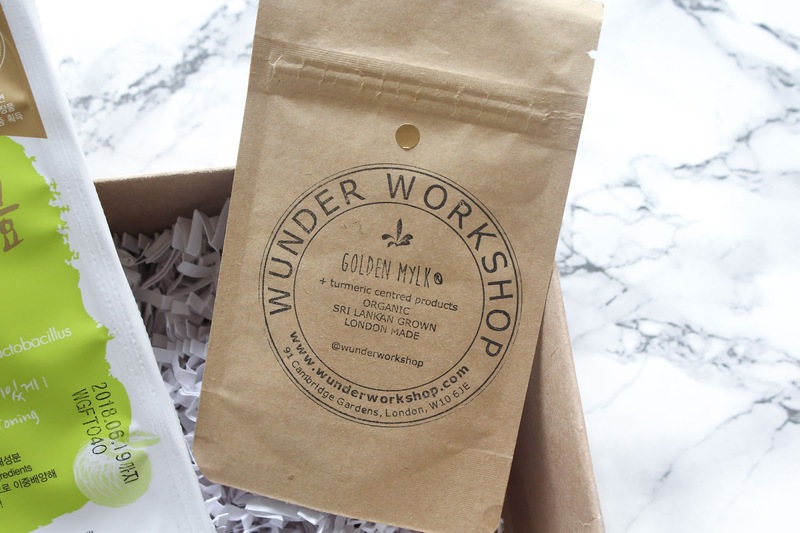 Wunder Workshop The Original Golden Mylk Blend is an organic turmeric latte. And you know how I feel about turmeric right? I utterly adore it! I love eating it and applying it on my face, it's an amazing anti-inflammatory and brightening ingredient. Turmeric lattes (and matcha lattes) are all the rave at the moment and I completely understand why. They are delicious and full of good stuff. I have never heard of this particular brand, I usually mix my own golden milk with pure turmeric, but it is nice to have something blended together to simply mix with milk (milk alternative that is). 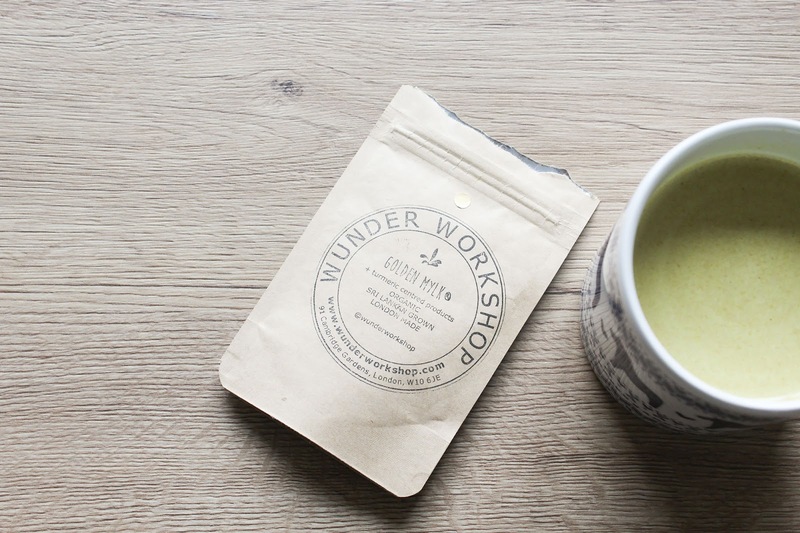 Wunder Workshop is sourcing the purest organic turmeric from the heart of Sri Lanka and makes the blends in London, UK. Their recipes and principles are inspired by Ayurveda, which stresses the importance of a preventative approach to health. This blend contains Coconut Milk, Turmeric, Cinnamon and Black Pepper (an essential ingredient in this blend because it helps with the absorption of turmeric). I used half of the blend and mixed it with a bit of water and oat milk. It's yummy on its own but maybe next time I'll be adding a bit of coconut sugar. I wanted to keep the best for last. Of course I'm talking about the absolutely gorgeous and magical brand, the one and only Siam Seas. Oh how I adore this brand! Supadra knows exactly what she is doing and I'm grateful she is sharing her potions with us. 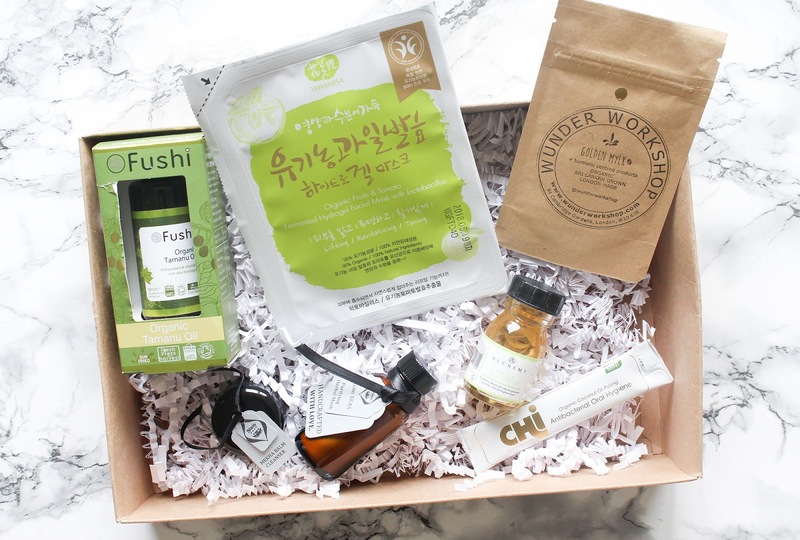 I've already wrote about the Mekha Herbal Active Cleanser, which I got a chance to try in one other beauty box, the Boxwalla. Mekha cleanser is different than any other cleanser you've used before. It is a perfect marriage of healing butters, pure plant oils and sweet unsprayed raw honey infused propolis and pollen. I'm in love with the ingredient list. Beside the already mentioned Honey, there are also Mango & Capuacu Butter, Grapessed, Avocado, Olive Oils and a bunch of yummy tropical herbs like Thanaka Bark, Ivy Gourd, Ginseng, Turmeric and more. I don't know them all but together they create a stunning blend. 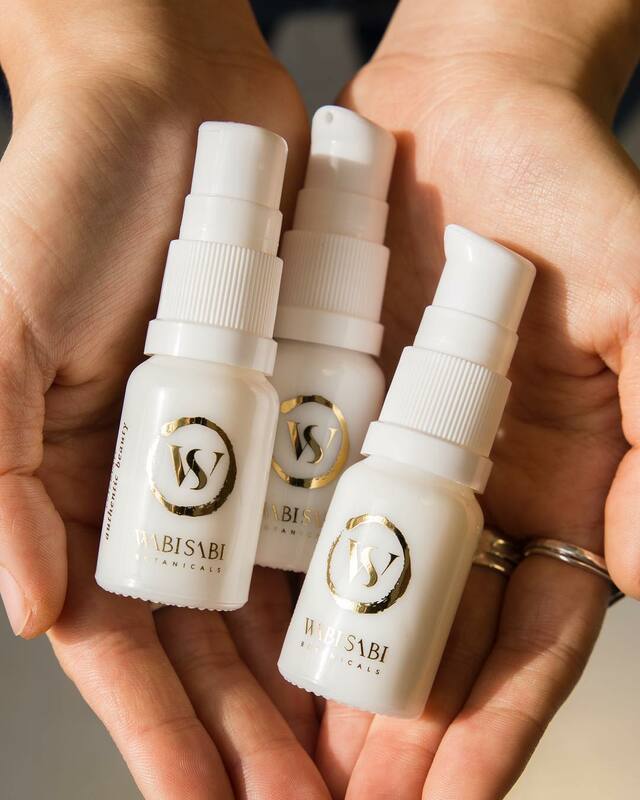 The extraordinary Southeast Asian botanicals work synergistically to alleviate inflammation, dissolve dead skin layers and stimulate blood flow in preparation for maximum nutrient absorption after cleansing, revealing your brightest skin. I don't use it as my first evening cleanser because it's not as oily to easily remove my mascara but I love it as my second cleanser which I then leave on my skin as a mask. It works beautifully! It's deeply cleansing and decongesting, and also exfoliating. My skin is left soft, smooth and soothed. It's absolutely beautiful. 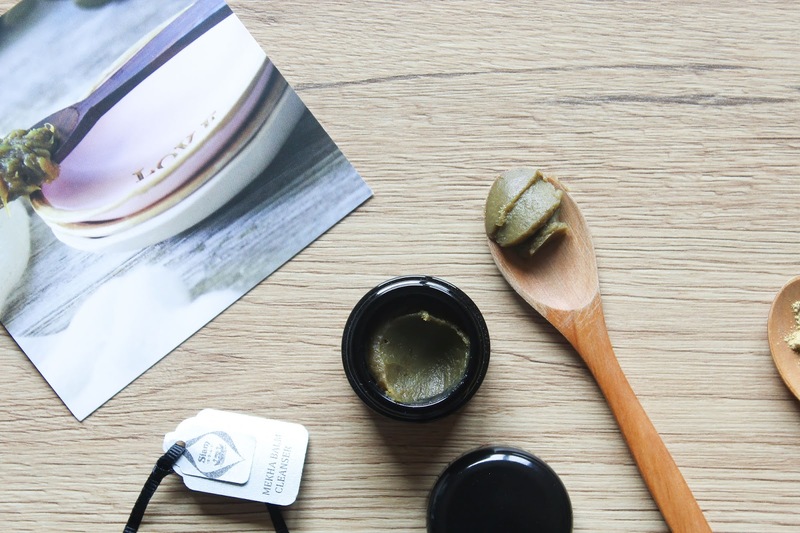 Another beautiful Siam Seas product is the Head-to-Toe Purifying Herbal Mask. 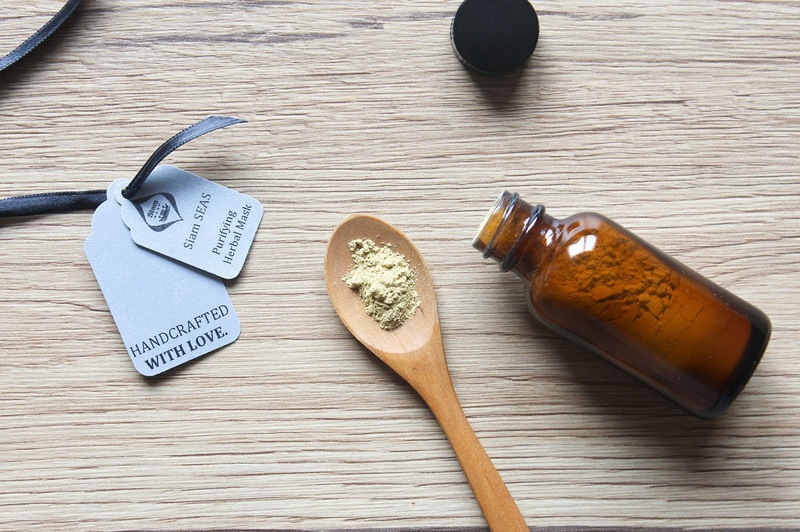 This is a powder mask full with beautiful ingredients, like it's always the case when it comes to Supadra's magic potions. 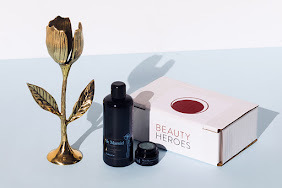 It is a blend of 9 powerful ancient herbs from all over Southeast Asia, a recipe passed down through generations for its potent skin-transforming properties. I love that I can personalize it and mix with whatever I want. I always mix my powder masks with a few drops of water and eucalyptus honey, works like a charm every time. I used this mask only once so far but I loved the results I got. My skin was brighter and more healthy looking. Should I use the word glowing? Maybe. It does contain Turmeric and I bet some other herbs in it help to achieve glowing skin. It also purified my skin. I have to say that I really liked it and I'm very excited to use it again. 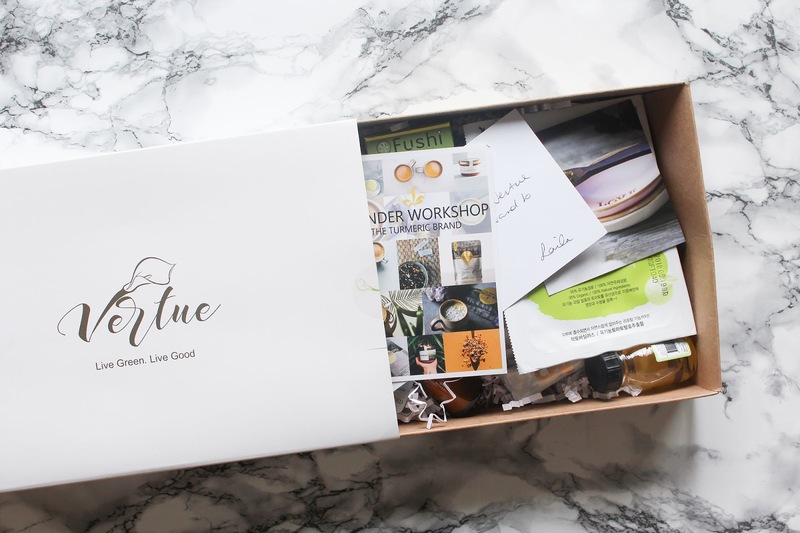 A bit of a long post from me today but since I was very impressed with this Vertue's Box selection of products + I'm in a chatty mood, I had to write a bit longer reviews. 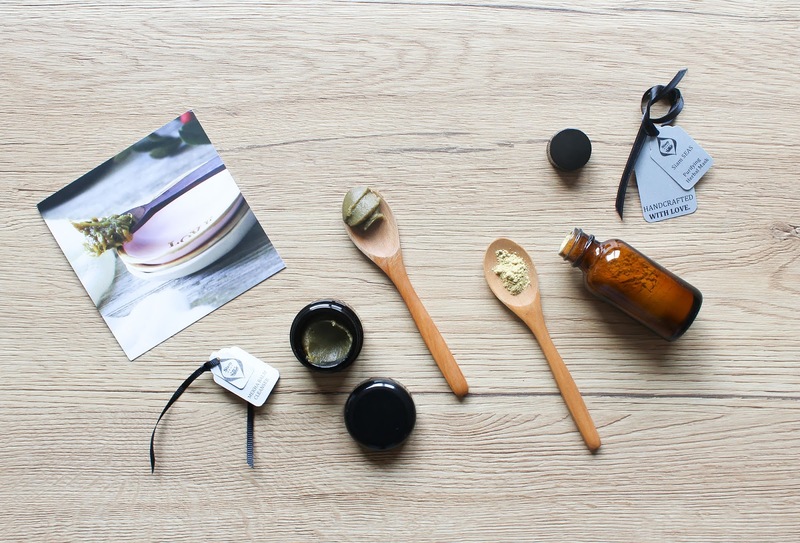 I'm in love with it and I think Vertue has a very good potential of being another wonderful green beauty and health subscription box. There is definitely a place for it in my world. 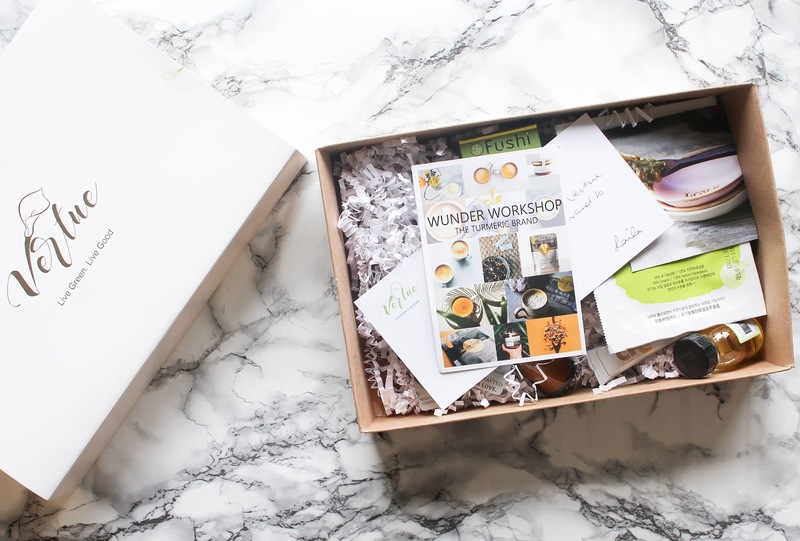 As I said you can no longer get this Wonderlust: Asis box but the next one sounds equally exciting to me with a theme of Active Beauty. I don't know what will be in it but if you're interested go ahead and follow Vertue Box on Instagram or subscribe to receive it here.